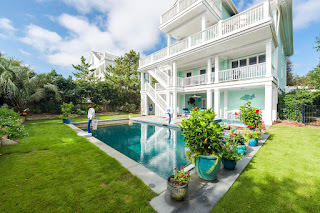 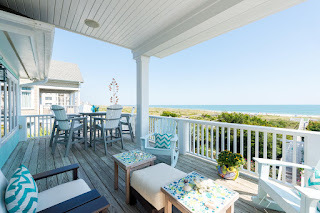 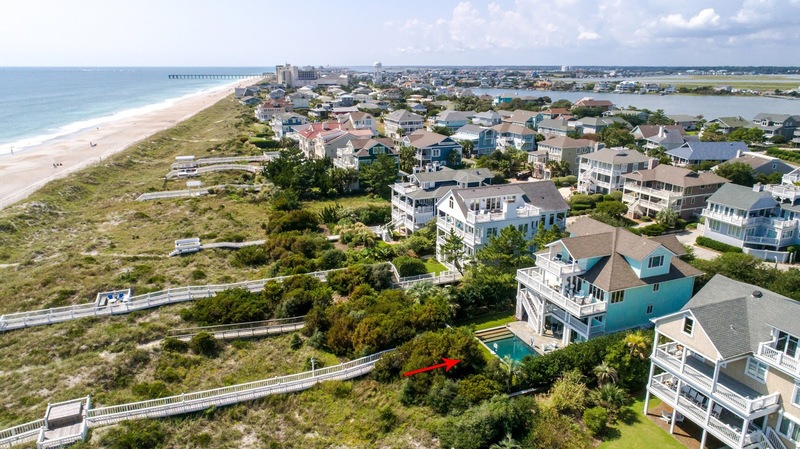 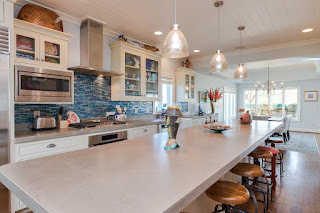 More than just a home, 7 Northridge Road is an elegant oceanfront residence located on private cul-de-sac in Wrightsville Beach's signature ocean side subdivision, Duneridge Estates. The main living level offers a stunning, open, gourmet kitchen with Miele dishwasher and oven, gas range, Sub-Zero fridge, granite countertops and poured concrete surface kitchen island. Additionally, the rest of the living area includes a large dining area, fireplace, gathering area, game room and oceanfront balcony. The private rooftop master suite feels like a retreat every day with its exquisite bath, oceanfront balcony, reading lounge, and built in cabinetry. 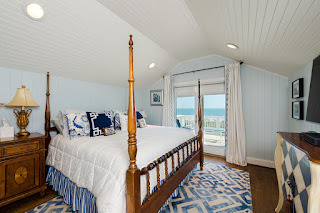 Meanwhile the guest floor is comprised of four ample sized bedrooms each with private baths giving family, friends and other guests plenty of privacy. The lushly landscaped backyard provides a private oasis including a recently installed pool and hot tub. 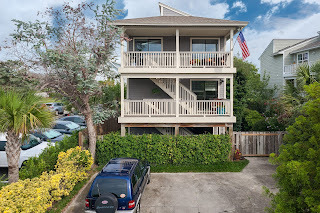 This home's extensive finishes include hardwood flooring and v-groove cypress paneling and features ample parking and residential elevator service. 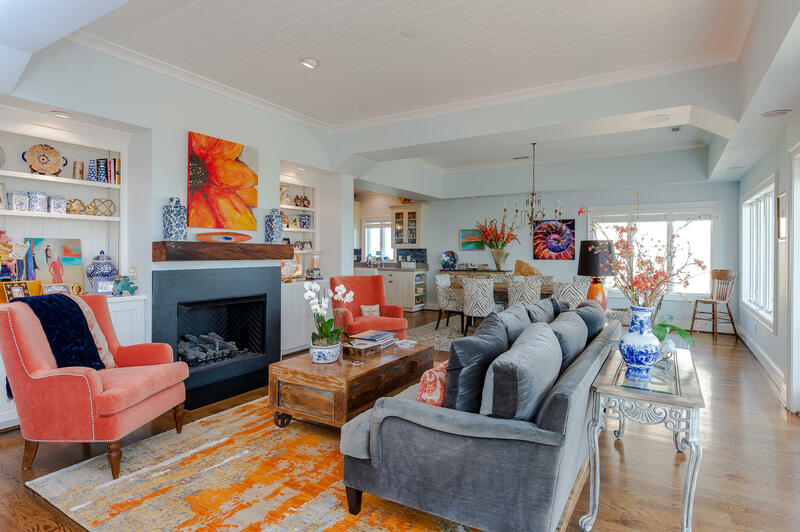 View more information, photos and current pricing here. 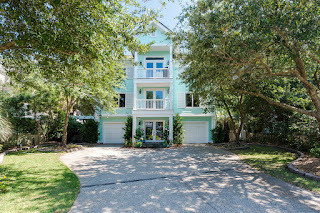 To schedule your private showing of 7 Northridge Road and Duneridge Estates, contact Hardee Hunt and Williams at (910) 256-6998.